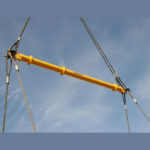 Modular Spreader Beams provide the ideal solution for most lifting requirements, they are easy to handle, cost effective and have a massive capacity. 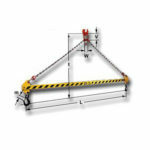 Designed to spread the lifting angle of the top slings of large lifts. The flexibility of the modular configuration enables the Modulift System to be reused time and time again, providing a cost effective solution. 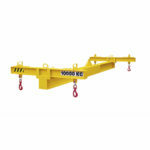 Spreader Beam are designed for a variety heavy lifting applications. Spreading the load in much the same way as the modular system. Protier have a wide range of Spreader Beams (Bars) available, including telescopic beams, to allow for lifting multiple loads. We also offer a range of Combination Spreader Beams, that have the facility to be used as a single point lifting beam in addition to a spreader beam. Protier offer a wide range of Fixed & Adjustable Lifting Beams in a range of capacities. These beams offer a single lifting point on the top of the beam and multiple lower lifting points that are either fixed or adjustable depending on the lifting beam type. Ideal for lifts with restricted headroom. Capacities of up to 200 Tonne. The low headroom 4 point ‘H’ style lifting beams, available in either fixed or adjustable. 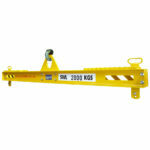 Ideal for lifting loads with restricted headroom.